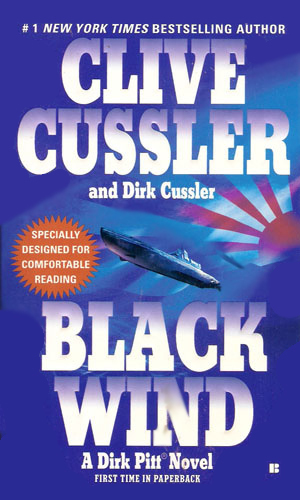 Dirk Pitt is an agent with N.U.M.A. Truthfully, he is an employee, not an agent and N.U.M.A., the National Underwater and Marine Agency, is not an Intelligence bureau but one dedicated to maritime exploration and discovery. The adventures he gets into, and the huge consequences that result in his help, make this series belong firmly in this compendium. 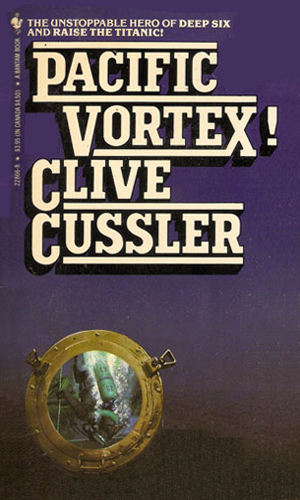 With the exception of James Bond and possibly the Man From U.N.C.L.E., there is no member of this collection of spy heroes about whom more is known than Dirk Pitt. First, the number of web-sites existing is amazing, each with its own slant on the character. And second, the author was good enough to write a separate volume about his hit hero and himself. Pitt stands over 6'3, weighs 180 lbs and has green eyes and wavy, black hair. Born in November, 1952, in Newport Beach, California, the son of a U.S. Senator, he attended the U.S. Air Force Academy from which he graduated in the early 70's. During his military service, from which he retired with the rank of Major, he was awarded numerous medals such as the Distinguished Flying Cross with two clusters, a Silver Star, a Purple Heart, and several other commendations. His interest in the Titanic and his love of the ocean sparked his movement to work with NUMA, an organization dedicated to the preservation of the world's marine environment. He is able to afford his continued love of exploration, as well as a fascination with vintage cars, thanks to a large inheritance from his grandfather. As the series progresses, the character actually ages, though he does not lose his ability to hold his own against anyone. Eventually, however, a co-starring role is given to his grown children which breathed new life in a series that was nowhere near done. 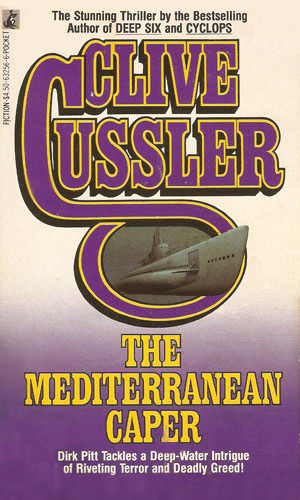 Interestingly, the author, Clive Cussler, passed the principle writing to his son, Dirk Cussler, from whom the character originally got his name. 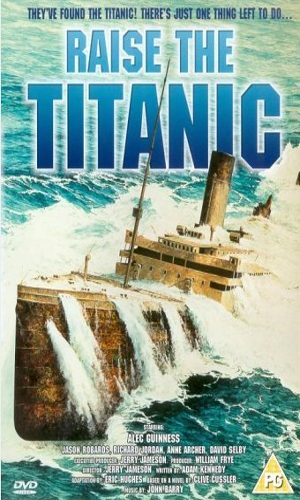 Note: The third adventure, "Raise The Titanic", was turned into a movie in 1980 starring David Selby, Richard Jordan, and Jason Robards. It was a solid movie with good effects, especially when the ship breaks the surface. Still, the character of Pitt, played by Jordan, was, IMHO, far too subordinate to one Selby had since Selby was by far the bigger star at the time. 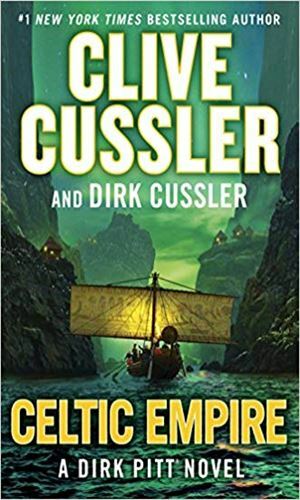 An inner look into the character Dirk Pitt, including a short story in which the author sits down for a talk with Pitt. 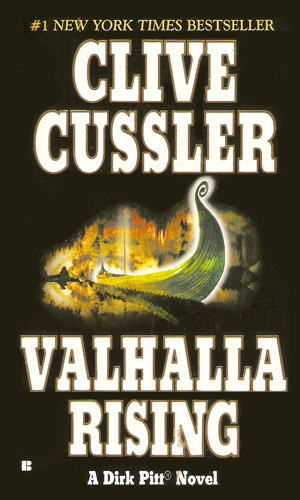 It also has an interview with Mr. Cussler and a review of each novel in the series. Why would someone flying a WWI fighter want to attack a modern U.S. Air Force base? 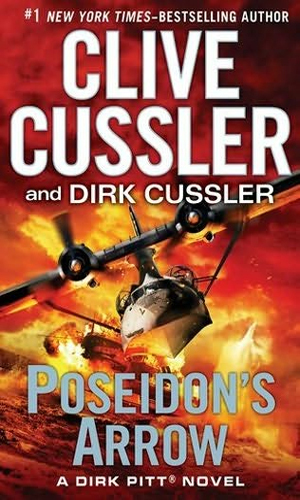 That is the first puzzling event that would enmesh Dirk Pitt on a Greek island in a struggle with a Nazi war criminal funding his revenge with huge shipments of drugs. The million-ton block of ice held an amazing prize inside - the burned remnants of a yacht complete with its murdered crew. 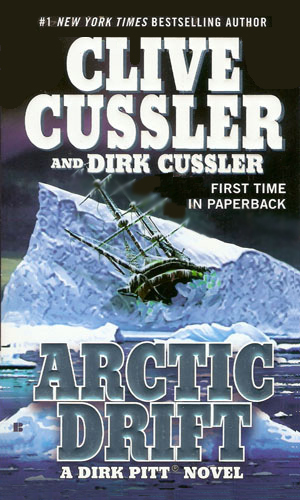 Dirk Pitt is anxious to learn how they died and how the ship came to be trapped. His curiosity will lead him to a plot that threatens all of South America. A mineral needed to power a anti-missile defense system, byzanium, is extremely rare but a large supply of it had been on the Titanic. 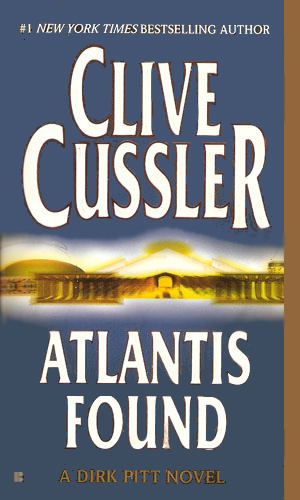 To get their hands on it, the Americans ask Dirk Pitt to head an expedition to bring the giant ship back to the surface. In the 50's a plane carrying 36 cannisters of highly toxic germs went down in a frozen lake in Colorado. 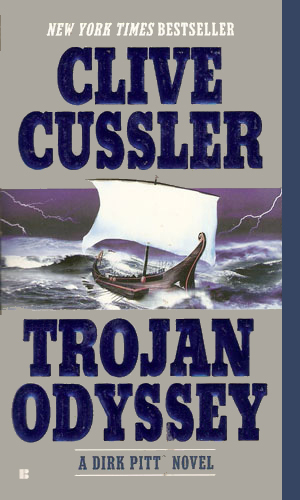 Years later, Dirk Pitt discovers the wreckage and all but 2 of the containers. The other two are held by a terrorist band looking to Washington as a good place to open them. The only two copies of an explosive treaty signed between the U.S. and U.K., missing since 1914, has become the subject of a massive search as its contents could hold the answer to an energy crisis gripping the country. The British, however, are not so anxious for it to be found. Dozens of ships have disappeared into a fog-covered area of sea known as the Pacific Vortex. 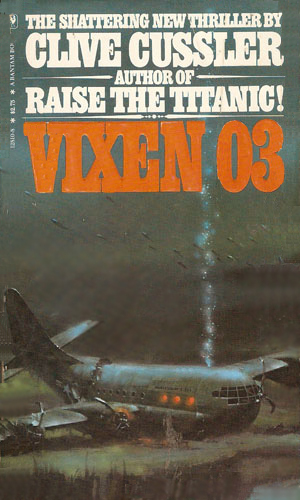 When the latest to vanish is an American submarine involved in deep-sea exploration, NUMA is called in to find out what is happening and Dirk Pitt is the man in charge. The mysteries facing Pitt are many and strange. Someone has unleashed a large quantity of poison into the ocean. A Soviet liner goes up in a blaze. And the President, out for a short cruise aboard his yacht, disappears without a trace. Why did a rich American disappear while on a treasure hunt onboard an old blimp? Why was the blimp later found floating away from Cuba with dead Soviet cosmonauts on it? And why is there evidence to the existence of a secret base on the moon? Three little anomalies that Dirk Pitt has to explain. 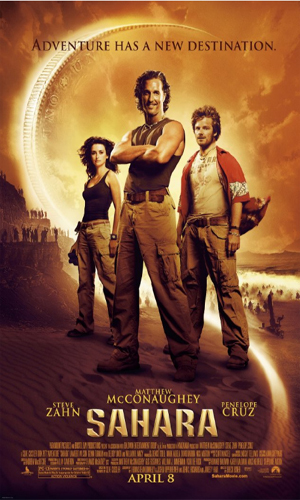 The strange mixture of a Mexican religious leader anxious to take his personal war to America and an Egyptian who wants to turn his homeland into a fundamentalist Islamic kingdom plagues Pitt as he seeks to follow the trail of fabulous treasures from ancient Alexandria. The explosion that instantly claimed a Japanese cargo ship and a Norwegian vessel was possibly one of the bombs that went missing at the end of WWII. 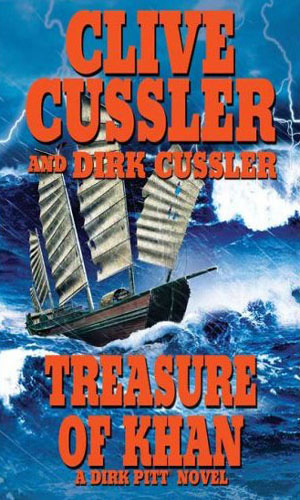 Dirk Pitt is investigating when he comes across an even deeper mystery involving Nazi gold and a plot to restore Japanese pride. Thousands of residents of North Africa are stricken by a disease that turns them mad before turning them dead and the disaster is spreading in a wave of pollution. 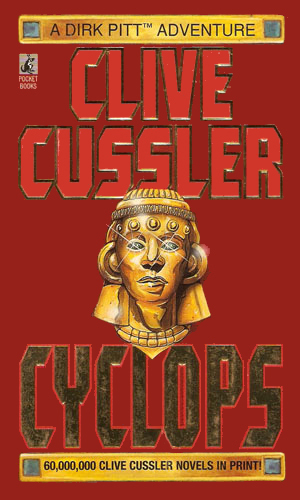 If Dirk Pitt cannot help find a solution, the entire planet could be at risk. 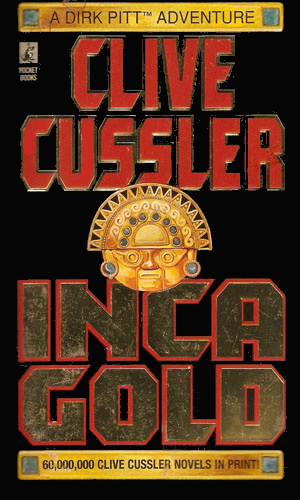 An act of heroism in saving the lives of two drowning archeologists in the Andes gets Dirk Pitt involved in the hunt for a huge cache of gold the Incas had buried centuries before. Also after the treasure is the Mob. 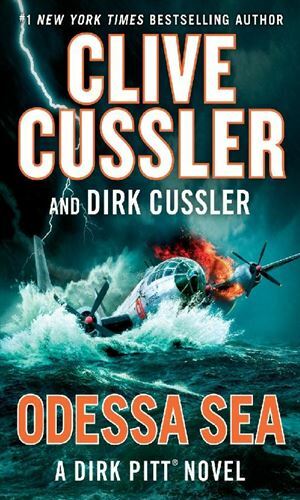 Dirk Pitt saves the life of a young woman while investigating the death of thousands of marine animals as well as dozens of passengers on a cruise ship. This act of kindness leads him to the woman's diamond-mining father and her vicious sisters, all with plenty of reasons for Dirk to fail. The Chinese billionaire had a bizarre plan to change the course of the Mississippi River, eventually dividing the country into three sections. 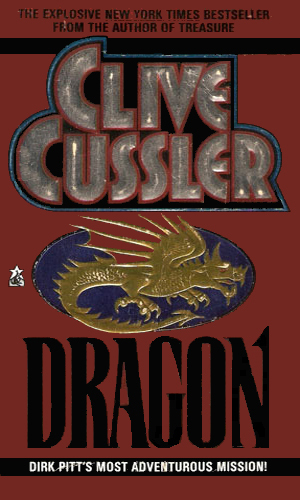 The plan further moves control of the nation to that of China and that is more than Dirk Pitt can consider. 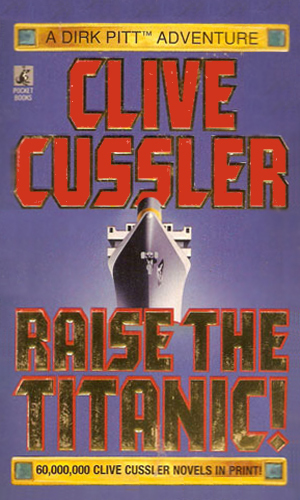 Dirk Pitt and other of NUMA are nearly killed when the vessel they are on is nearly sunk by a ship thought destroyed decades before. Pitt soon learns enough disturbing facts to start believing he might discover the whereabouts of the lost civilization of Atlantis. When a luxury cruise ship catches fire and sinks without any warning, the worry is that the cause is the new state-of-the-art engines the ship was trying out. 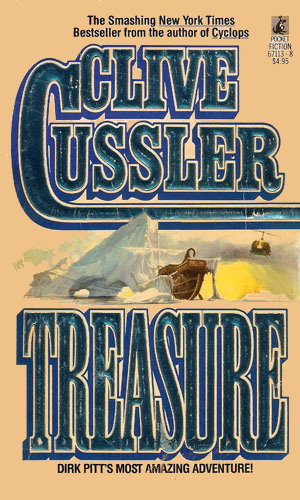 Dirk Pitt is sent to find out one way or the other but he is quickly faced with far more puzzling situations. As Summer and Dirk, jr. seek to understand the increasing brown tide killing sea life in the Caribbean, they become threatened by an incoming hurricane. Even if they survive that natural disaster, they have to contend with the maniacal planner who unleashed the brown tide in the first place. As WWII was nearing its end, two Japanese submarines loaded with a deadly bio-virus were headed to America to strike a crippling blow. They never made it. Someone has learned their location and has plans to seeing the mission completed. As the Pitts seek the lost treasure of Xanadu, they cross a modern Mongol leader with visions of completing the goal of Genghis Khan in conquering the world and he has now the means to pull it off. The US and Canada are quickly heading to war over oil as a Canadian organization is doing everything it can to keep America from solving its energy problem. The rise of fundamentalist movements aimed at a return of the Ottoman Empire is linked to documents that may have been on one of two shipwrecks, one in the 4th century and the other in the 20th. 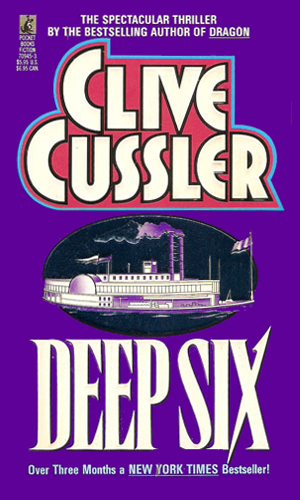 Events push Dirk Pitt into finding out. A main piece in the prototype of a revolutionary submarine, capable of great speed, is missing and its inventor is dead. At the same time, ships are starting to be sunk by unknown means. 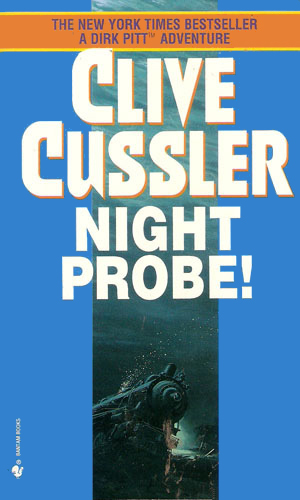 Dirk Pitt is out to find the culprits, aided by an NCIS agent. 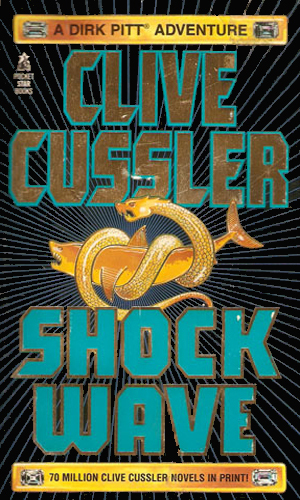 A toxic outbreak in the Caribbean can spell disaster for the US so Dirk Pitt heads to that region to investigate, landing himself in the middle of a post-Castro struggle for control of Cuba. 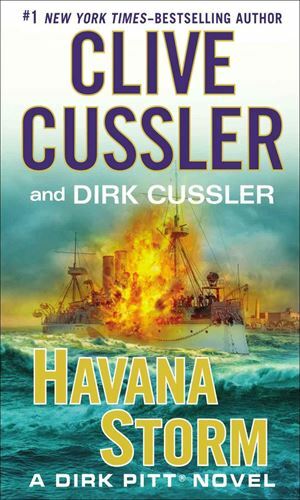 At the same time, his children, Dirk and Summer, as looking for an Aztec stone and their search takes them to Havana Harbor and the wreck of the USS Maine. 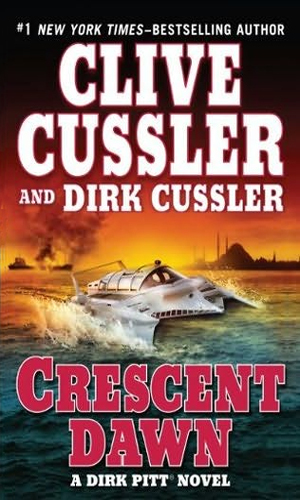 In the Black Sea looking for a lost Ottoman shipwreck, Dirk Pitt hears a distress call from a vessel under attack. Going to help, he finds only dead bodies. Looking into what happened pushes him further into a Cold War relic of a mystery. 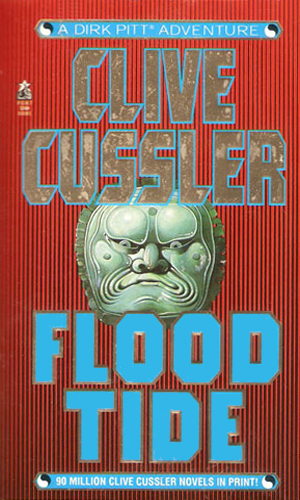 Looking into a disease that is spreading quickly, Dirk Pitt gets enmeshed in a conspiracy that involves the bioremediation company out to find a solution to the problem. 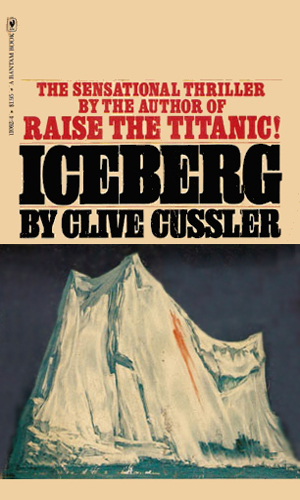 A source of a needed rare mineral is said to be on the sunken Titanic and to get it, Dirk Pitt and team decide to raise the stricken vessel. 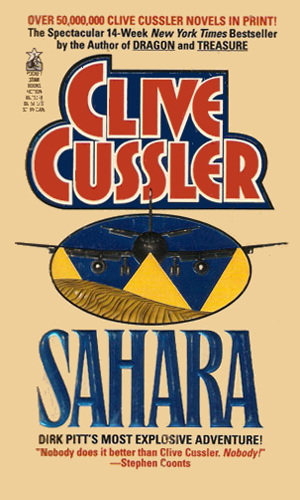 Dirk Pitt seeks a lost Civil War battleship in the middle of the Sahara desert. He is joined by a WHO doctor who has a dictator out after her. 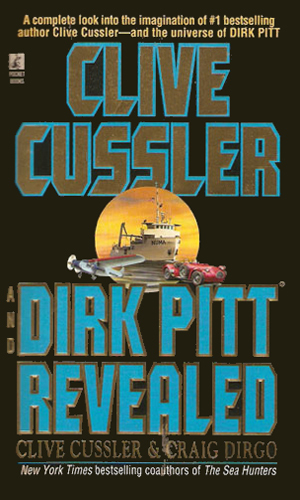 Other than an annoyance that I cannot see reference to Dirk Pitt in any official notice without a registered trademark beside the name, I like him. I like him a lot. And I will grant you that letting a little TM bother you is pretty petty, even for me. There is just so much to love about the Pitt tales because the author puts so much into them. He certainly is one of the best selling members of the spy/intrigue genre as every new adventure hits the top of the list. Pitt is not a cloak and dagger kind of agent - he is very open about what he does but he most certainly gets involved in a lot of things, usually disrupting schenanigans by others who are not quite as nice as Pitt. And though he is a good guy, he is also a hard hitter and does not like it when people try to hurt the planet, his friends, or himself. My great appreciation for Pitt is not because he is a big seller, however. He is a big seller because I, and millions of others, like him. I may or may not believe he is doing the things he does but I can easily suspend disbelief enough to enjoy the heck out of reading him do them. And I am glad that he keeps doing them because I keep buying them. Even as he has gotten older through the series and his two children have taken the job of derring-do from his shoulders, he still can show them a trick or two.